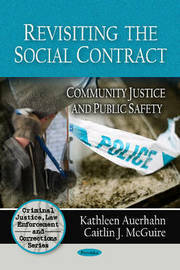 In criminal justice literature, "community justice" usually refers to a variety of alternative adjudicative strategies and practices. In this book, we suggest an additional conceptual formulation of community justice that emphasises the role of the criminal justice system in providing justice to communities. Since the late twentieth century, the primary promise of the American criminal justice system has been to protect the public from dangerous offenders. This book evaluates contemporary incarceration policy and practice in the United States in light of that premise.